I am deeply disappointed with the New Straits Times (24 November 2000) for making a scurrilous allegation that I had stated that "the opposition coalition rejected the DAP candidate as he is an Indian." I categorically deny that I made such a comment to the media after a luncheon organized by the Barisan Alternatif in Parliament on Wednesday. In concocting a comment which is then attributed to me, the NST has shown that it has no respect for journalistic ethics. Since this baseless allegation has caused me great distress and has had a detrimental effect on my reputation and public standing, I have instructed my lawyer S. N. Nair to institute legal action against the NST. What has caused me even greater unhappiness is that the NST has wittingly or unwittingly projected me as a person who is anti Indian and totally insensitive to the interests of a marginalised minority. This is grossly unjust and unfair to me since both in my private and professional capacity as a doctor I have often shown deep sympathy for the plight of the Indian community. Let me also reiterate here that Parti Keadilan Nasional is firmly committed to the principle of multi-ethnic politics and the defense of the legitimate rights of the minority communities in Malaysia. I have personally, on numerous occasions as Party President, espoused the cause of the downtrodden and disadvantaged majority within the Indian community. Fundamental socio-economic issues vital to the well being of the Indian community such as a minimum wage and housing for plantation labor, and greater educational opportunities for the community have been cardinal concerns of my party since its inception. Even on the question of Indian representation in elections, it should be observed that the Barisan Alternatif fielded 9 candidates for Parliament as against the Barisan Nasional's 7 in the last general election. 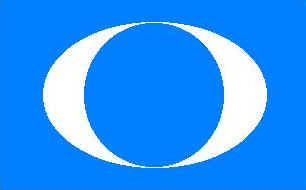 Instead of concocting and distorting statements which have a negative impact upon ethnic relations and minority rights, the NST and the media as a whole should be far more responsible and desist from playing communal politics on behalf of the Barisan Nasional.